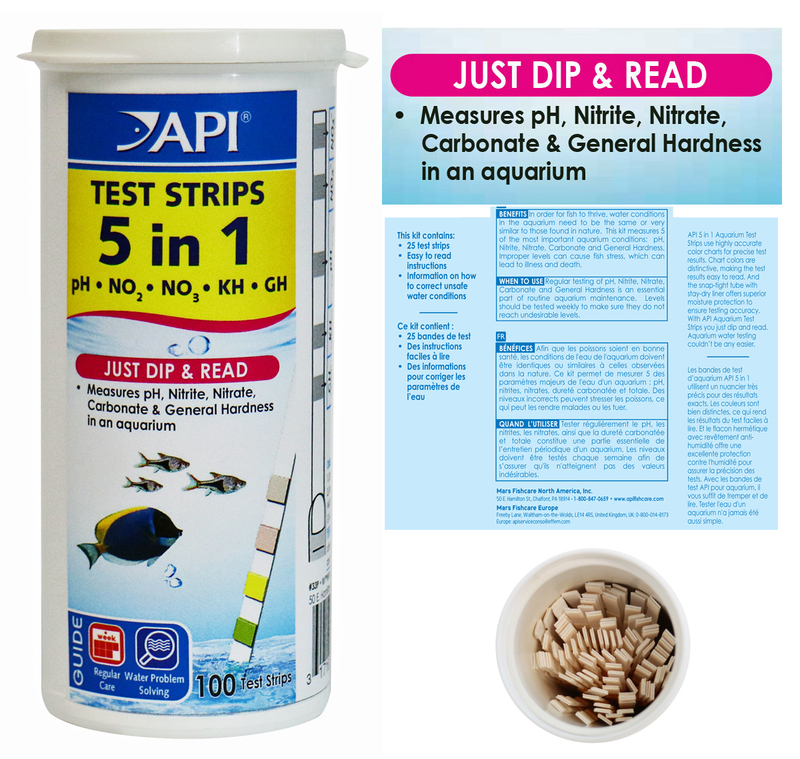 API 5 in Test Strips provide a quick, easy and accurate way to measure 5 important water quality parameter without test tubes or liquids. Just dip into the aquarium and get an instant reading. The strips come packed in a plastic protective vial with snap cap. The vial is lined with moisture absorbing desiccant layer that insures the strips remain accurate and active.